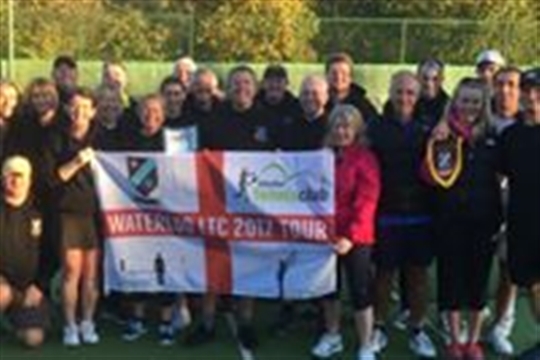 We were delighted to welcome members from Waterloo Tennis Club (from Crosby in Liverpool) on Saturday, 7th October. The Crosby team, led by one of our new members Bill Humphray, who was once Chairman of the club, joined us for a mixed doubles tournament which ran between 2.00 and 5.00pm. A great time was had by all involved. Afterwards, the Crosby Group enjoyed a night out in Newcastle. We hope to welcome them back again soon.